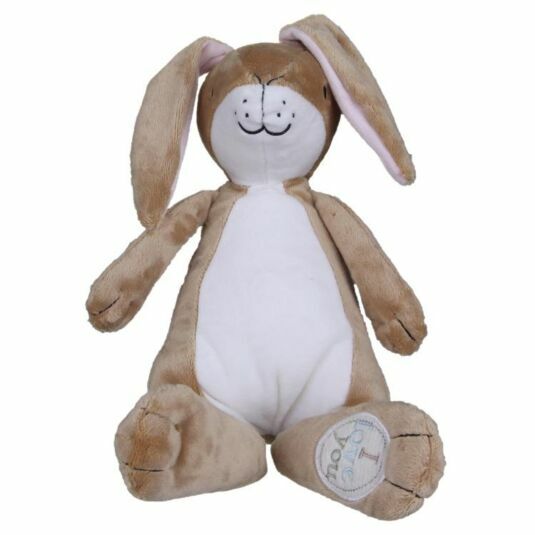 This big hare plush is based on the story ‘Guess How Much I Love You’ in the shape of Big Nutbrown Hare. He’s 23cm tall when seated, and has a beanie bottom to allow him to sit upright. This plush toy is suitable for children of all ages.